Precision handling, powered by DuPont Kevlar - for high performance sports cars: Driving precision with DuPont„ Kevlar, superb handling and cornering, excellent grip and braking. 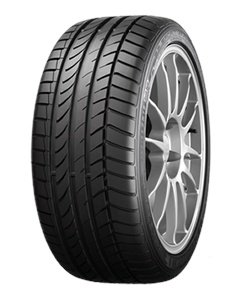 The Dunlop SP SportMaxx TT is an ultra high performance tyre providing outstanding grip and driving pleasure. Drivers of high performance cars want to experience the dynamics of their vehicle. To experience this requires superior dry handling, high-speed stability, excellent acceleration and reduced braking distances - look no further than the SP SportMaxx TT.